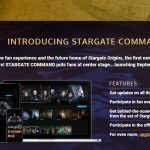 EXCLUSIVE: MGM answers our questions about Stargate's new digital platform. MGM's new digital platform launches September 20. 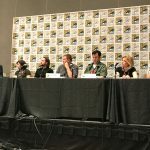 Stargate At Comic-Con: Watch The Panel Video! MGM's special panel event at the 2017 San Diego Comic-Con brought big news for the future of Stargate. Stargate SG-1 20th Anniversary Artwork: Vote For Your Favorite! 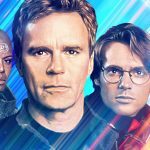 Get an early peek at one of five new SG-1 digital artwork pieces, and vote on Facebook starting August 8.